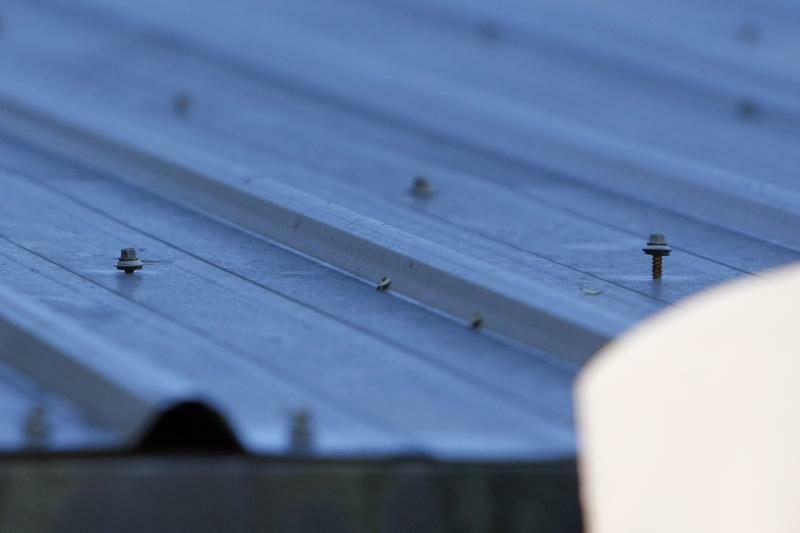 Using the wrong screws will shorten the life of your new roof. We only use ZAC lifetime guaranteed screws. The cheaper 1/4" head screws typically fail within 5 years. Several manufacturers have informed me that a failure due to the use of 1/4" screws will void the warranty on their metal panels. There have been many studies on the use of batten strips to create what is known in the industry as Above Sheathing Ventilation (ASV) and all of the testing produced the same results. Results from the Oak Ridge National Labratory, Oak Ridge, Tenn. concluded that ASV can reduce the heat gain in a home's living space by up to 45% compared to applying the metal directly to the shingles or roof deck. CONDENSATION: Condensation occurs almost daily due to temperature changes and humidity. 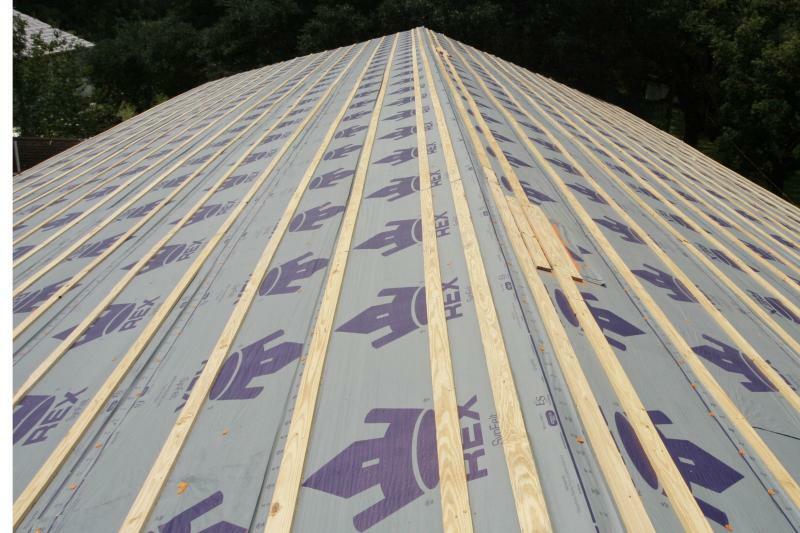 A study was done on the moisture content of sheathing boards with ASV and without ASV. The test with ASV was shown to reduce condensation and greatly accelerate the removal of unwanted moisture and reduce the moisture content of the sheathing. The sheathing boards without ASV were shown to hold moisture and most likely to produce fungal growth. It only makes sense that the air space created by the battens would aid in the removal of any unwanted moisture due to condensation. Underlayment has come a long way from years past and a lot of people don't understand its importance. In extreme weather with high winds there is always a chance that rain water can find a way to get past the primary roof covering. (more so with shingle roofs than a properly installed metal roof). This is where the underlayment comes into play. Underlayment acts as a secondary water barrier that will help prevent water intrusion in extreme weather events. We use what's called a synthetic felt underlayment. It is 20 times stronger, lightweight and enviromentally friendly. We also install a self adhering and self healing 36" polymer sheet on all valleys which gives you triple protection. This information is a result of countless hours that I have spent researching the best way to install metal roofing as well as what the absolute best materials we can obtain are. I have consulted with engineers, manufacturers, building officials, and several different roofing and metal associations. I can say with complete confidence that a metal roof installed by Ewing Construction will be the best of the best and will be installed to last a lifetime.